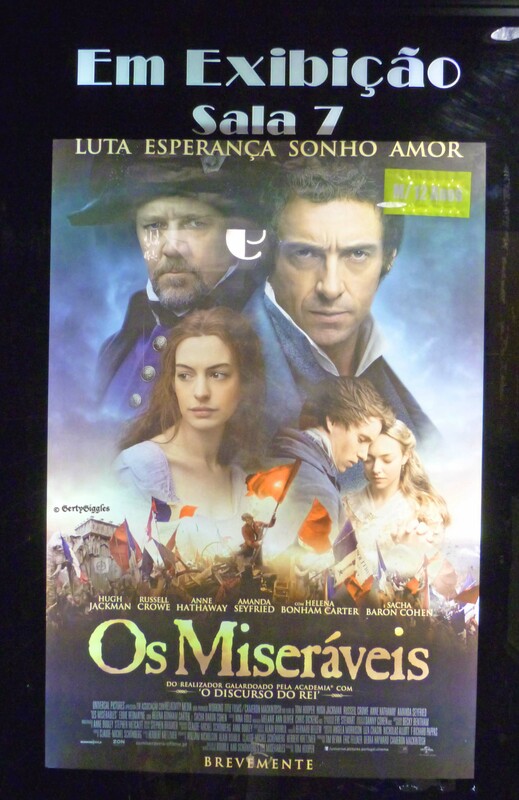 Watched “Les Miserables” yesterday, stupendous film. I’ve heard so many good things about it. Glad you enjoyed it! If you get a chance to see it, I’d recommend it to anyone. On my to be seen list. Putting this on my list of movies to see! Oh please do I really enjoyed it. I heard it was a good movie; will have to catch it soon. Hope your weekend is good, the film really held the audience. I understand the play is coming back to Toronto. I really would have liked to see the play, but where I live in Portugal they don’t have big stages so I have to enjoy the films. It has a huge following…I just can’t relate. I think I’m in a minority. It is dark at time so I can understand why some people don’t like it. Sadly, I think that is it. I saw it too and it was very good…but sad! Loved the music! Yes have to admit that I shed a tear or two at the end but it had a very uplifting finale. Other half has just cancelled our Sky Movie channel (we seldom agreed on a movie we might want to see) so my chances are dim but I expect I’ll catch it some Christmas time. A good movie keeps, doesn’t it? Yes I agree, it is one of the few films I would want to see again so I’m waiting to see if the TV channel put it on one Christmas too. Where an amature cook and a recipe collide. Trying to balance food, fitness, and fun!